If you prefer cakey brownies, this recipe is not for you. If you are unable to wait for a while before sampling your treats from the oven, this recipe is not for you. Now then, if you like cool, fudgy, sweet treats, read on! 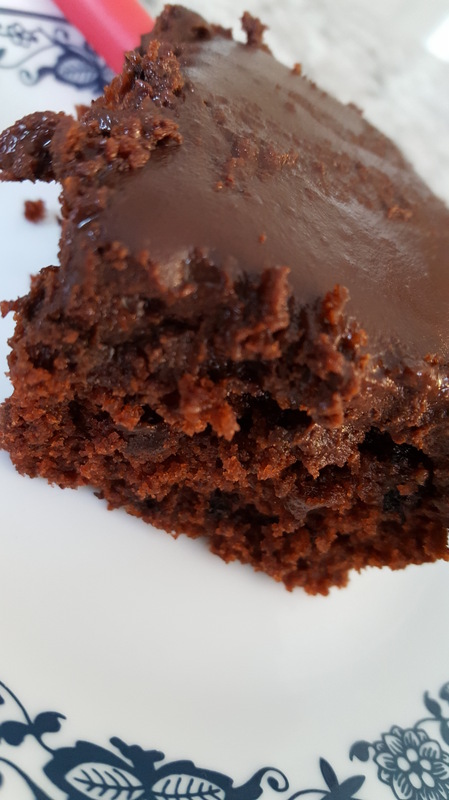 I’ve had black bean brownies before and felt rather underwhelmed. The flavor and texture were only okay, certainly not tempting enough for me to take the time to prepare them myself. However, I have a whole lot of beans in my pantry right now. 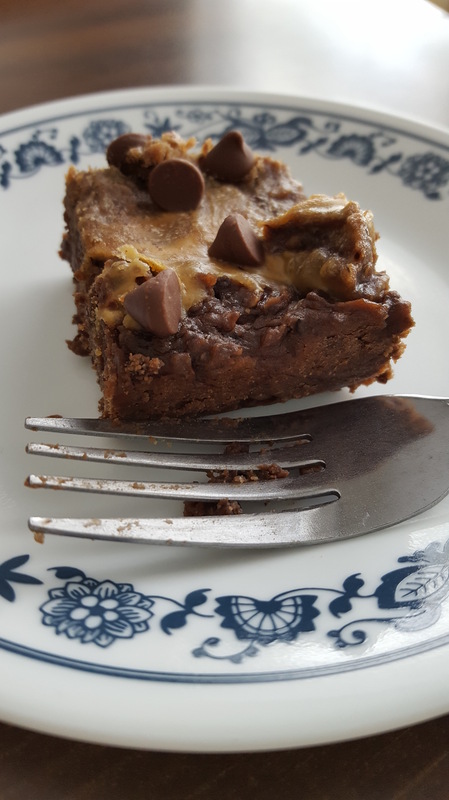 I hoped between the peanut butter and the admonition from the blogger who posted this recipe to let the brownies cool in the fridge overnight before eating them I’d found a winning recipe. Overall, I’d say that if I’m going to make black bean brownies, this is how I’d do it. Check out the recipe at the following link. My comments on the recipe will be just below! These really are fudge-like. I loved pairing the cool richness of the brownie with the hot sharpness of my coffee this afternoon. I must say that the health benefits from the beans made me feel better about my afternoon indulgence, and the chocolate soothed my nerves after the fiasco (three times over) that was potty training thus far today. I let my oldest son try a few bites, and he didn’t notice that these were not traditional brownies — he knows when the pizza is homemade though. That said, I could tell the difference. The texture isn’t quite as smooth, and I noticed the floral notes from the honey I used as the sweetener. It wasn’t bad, but it was different. I might experiment with white or brown sugar next time since I don’t have a problem with using sugar in my desserts. Finally, while the peanut butter is a nice addition, the flavor is fairly subtle here. If you’re a peanut butter fiend, don’t expect that element to dominate. I still have three cans of black beans in my pantry. Let me know if you have a great recipe to use them in! I was very uncertain about these blondies when I came across this recipe. After all, snickerdoodles are supposed to be so soft they practically melt in your mouth. On the other hand, blondies are chewy and buttery. Could these two sweet snacks really meld into one? I didn’t know, but in my house, snickerdoodles always disappear fast, so I thought this recipe was worth a try. Although my husband looked at his first serving with a great deal of suspicion, he actually ended up bargaining with me for the last blondie in the cookie jar! Which brings me to my comments on this recipe. These bars store well in a sealed container after you’ve sliced them. Or, put them in your kids’ lunchboxes for a great homemade treat. Like most bars, they are also simpler and quicker to make than traditional snickerdoodles. The success of this recipe makes me want to explore recipes for other bar-versions of our favorite cookies. 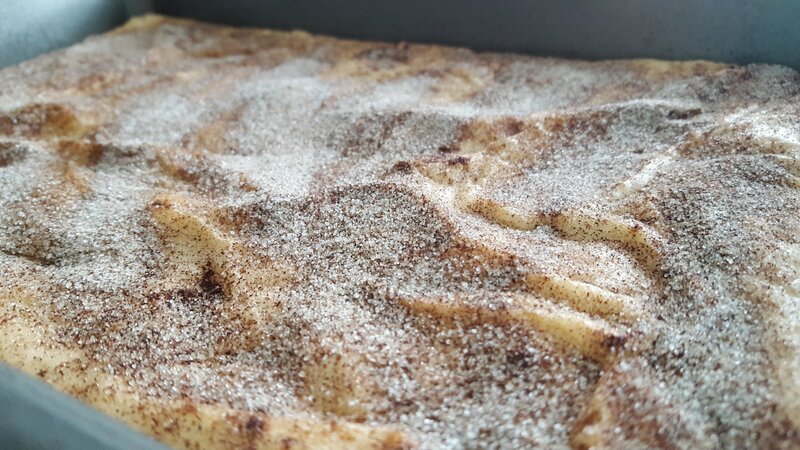 As for flavor and texture, “blondies” is a misnomer because these capture the smooth, thick, melty perfection of a good snickerdoodle. They don’t taste super sweet despite the 2 cups of sugar. And don’t be afraid of the topping. The cinnamon might look overwhelming on the top of these bars, but the flavor and texture are perfectly balanced. My husband has already insisted that I make these again. Try them and see if this becomes a repeat recipe in your household as well. So as Hurricane Irma rumbles closer, I’ve decided to post early. Authorities are warning us we’ll most likely lose power for a few hours to a few days, so I’m doubtful I will be able to post on Tuesday. Instead, I’ll share what I made for dinner tonight as we watched the wind pick up and the rain fall faster. I’m calling this Hurricane Stew. 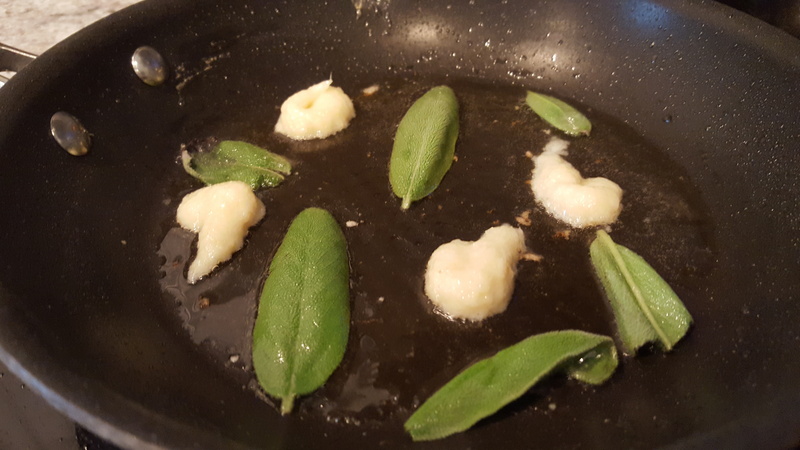 Heat the olive oil over medium-high heat in a medium skillet. Add the onions and beef. Season with salt, pepper, and Italian seasoning. Cook, stirring frequently, until the beef is seared and the onions are soft and translucent. Pour into a slow cooker. Add tomato soup, one can of water, beef bouillon, bacon, and bay leaf. Cover and cook on low for 4-5 hours. In the last hour of cooking, remove the bay leaf and add the beans. Serve with a hearty bread or rolls. My brother-in-law and I really enjoyed the soup. My husband would have preferred that I use potatoes instead of beans, but thought it was just fine otherwise. My son ate without fighting, but I wouldn’t go so far as to say he liked it. Still, I’ll take it. I really don’t have any modifications to make. 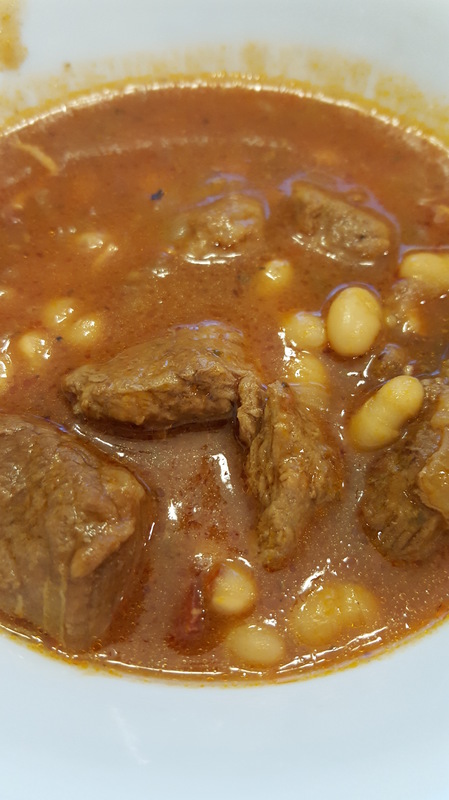 The base of the soup was thick and flavorful, the beans kept a creamy consistency, and the beef was tender. We don’t get much in the way of soup weather in hurricane country, but today fit the bill and this soup met that need. The cake is moist and topped with a luscious frosting. The only change I made was to add a little powdered sugar to the frosting to sweeten sand thicken it a bit. Honestly, this easy-to-make cake was better than cake I’ve had in restaurants. Enjoy these two recipes on a chilly evening and you won’t mind the weather outside your door. I had actually chosen a different recipe for this week’s Try It Tuesday, but I had a full gallon of milk in my refrigerator that was going to expire soon. So instead, I made some rice pudding for fellowship at church and gave this recipe for milk-braised pork loin in a slow cooker a try for dinner. It’s a recipe with a lot of flavor potential: fresh sage, garlic, lemon. I must say, my house smelled great from the moment I started searing the pork and sautéing the garlic and sage. Sadly, these flavors didn’t carry through for me — though that may not be the fault of the recipe. My sauce broke! Either the low setting on my slow cooker runs a little hot or I simply cooked the pork loin in its sauce too long. I’ll spare you the details of the mess in my slow cooker, but I think the garlic, sage, and lemon flavored the sauce (which was inedible), not the pork. Luckily, the pork still tasted good, if a little lackluster, and it was tender. I won’t rush to make this again, but if I need to use up a lot of milk, I’d be willing to give this recipe another shot. If you try it and it works for you, let me know how the sauce tastes!